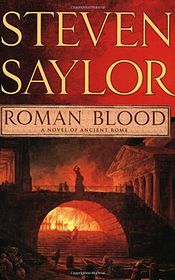 I really enjoy Steven Saylor’s books. I think he is underated as a historical novelist. I think this one is my favorite! I enjoyed reading your review. I still have a couple of his books in my To Be Read pile. I’ll have to unearth them! I think he’s under appreciated too. I read all the books in the series. Loved them.